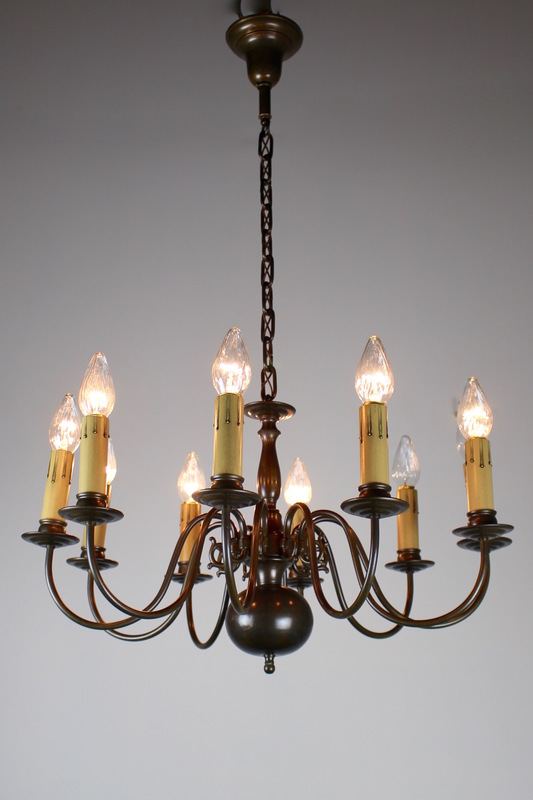 A lovely example of Dutch colonial style lighting, circa 1940s. 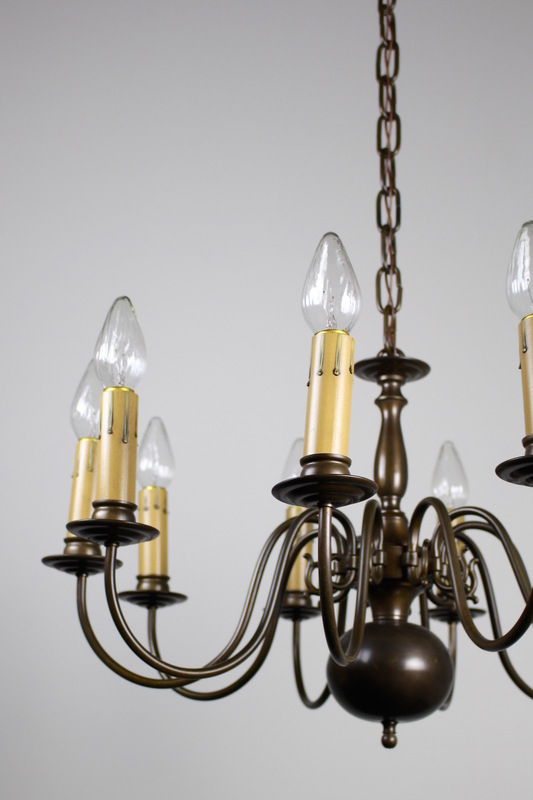 This fixture is has been cleaned, rewired, and restored. 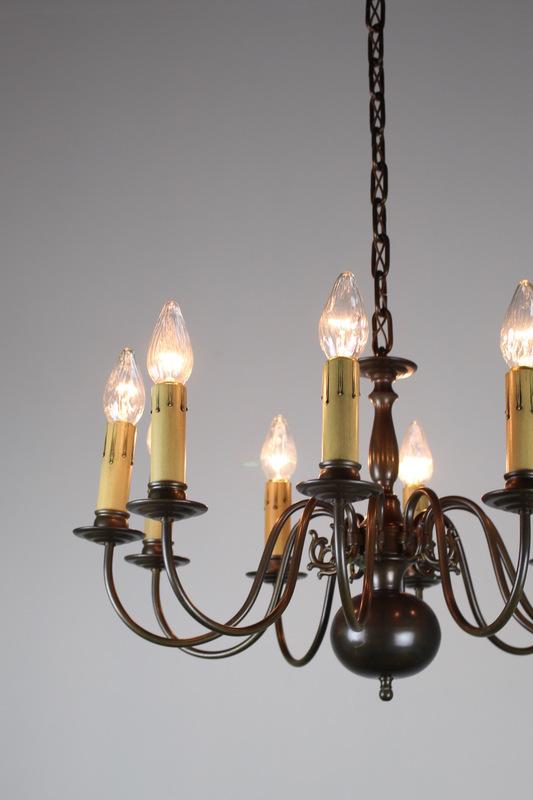 Fitted with ‘candles’. 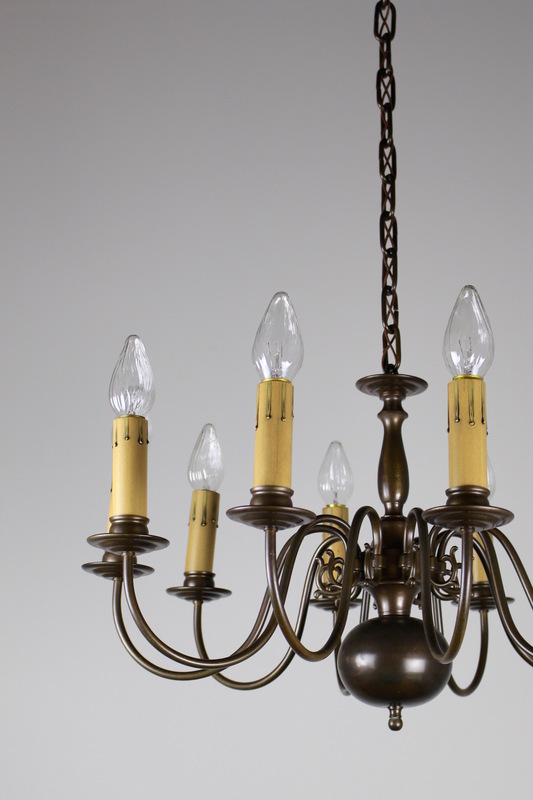 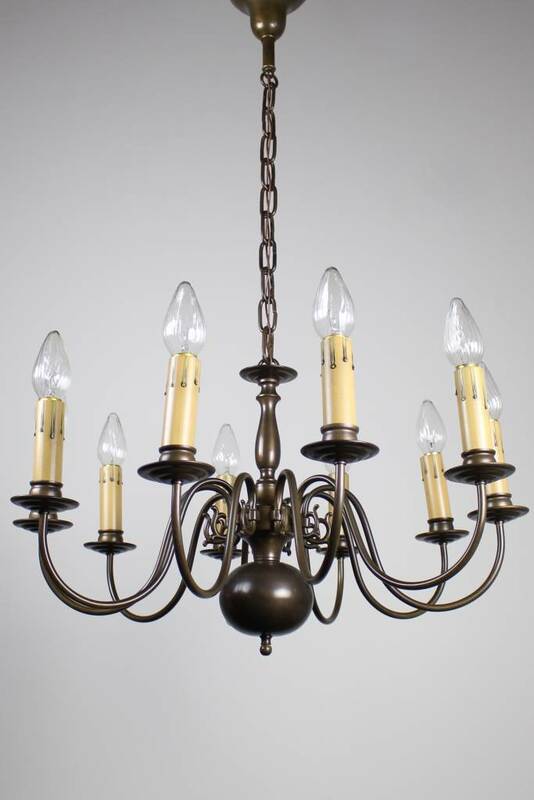 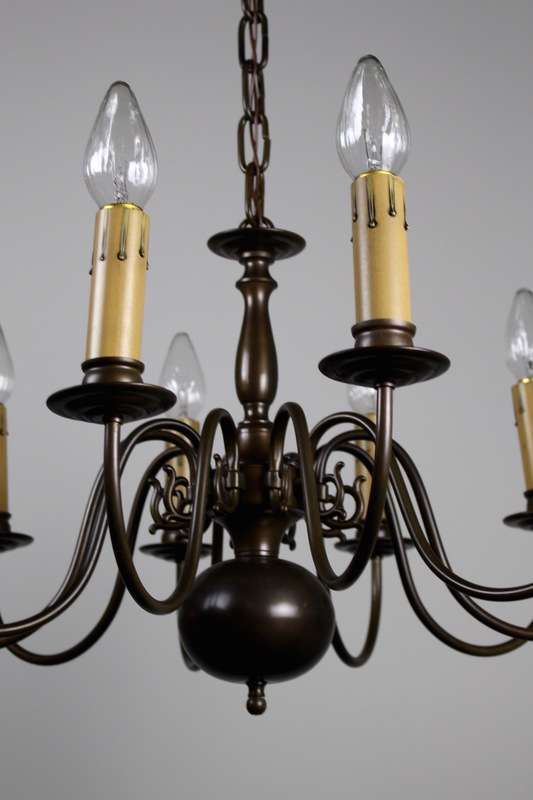 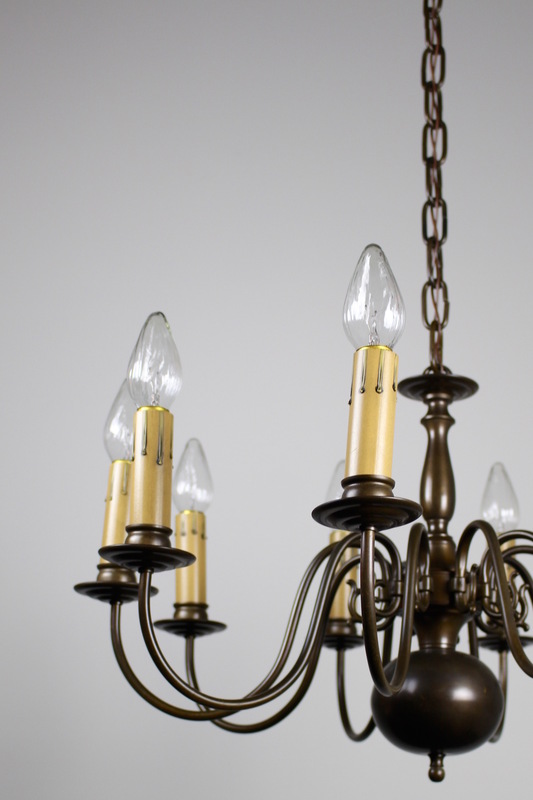 Measurements: 41″ L x 27″ W.
See more: Antique Ceiling Lights, Antique Chandeliers, Antique Lighting.